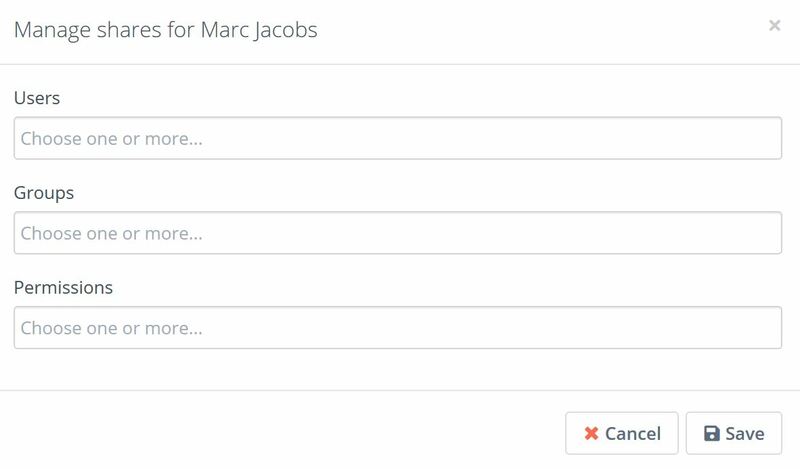 Given that users will not change their email each time a new platform comes out, the ability to add user’s own mailbox is very important. Configuration of your mailbox in Flexie CRM is quite simple and easy, but you need to know specific information in order to add your account. Protocols used for mail deliver are IMAP and SMTP. 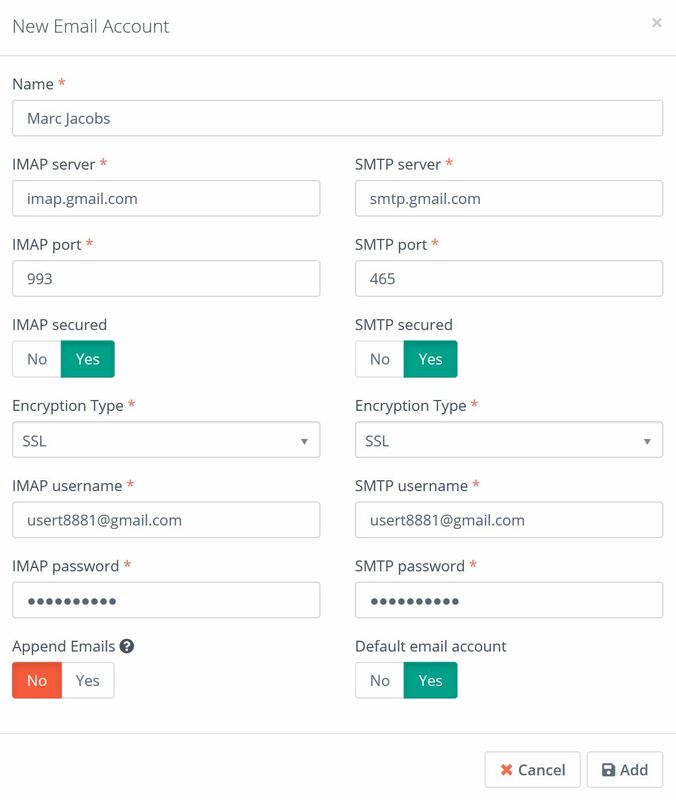 IMAP stands for Internet Message Access Protocol and allows you to retrieve email messages. SMTP stands for Simple Mail Transfer Protocol and allows you to send out email messages. After you successfully connect, a list of folders will be loaded from which you will choose what you want synchronized in Flexie CRM. 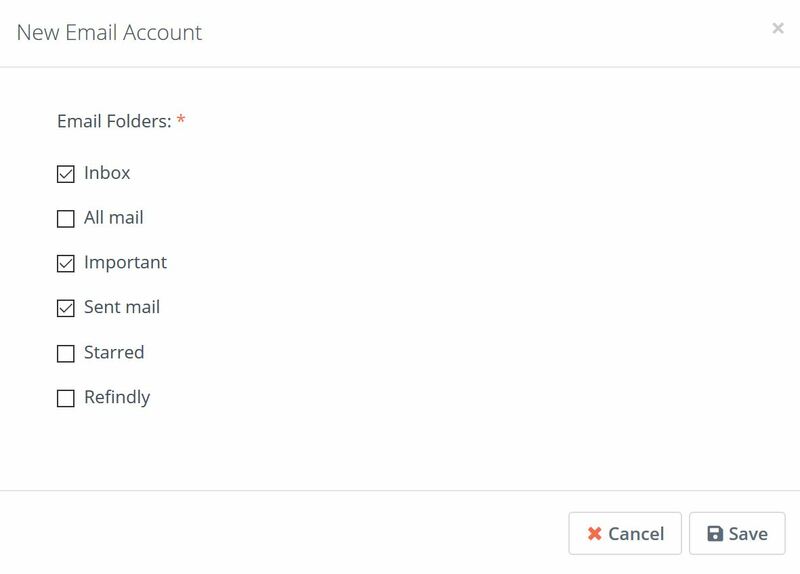 You can still change the folder selection later on inside your Flexie CRM mailbox. In the example above we have synchronized a Gmail mailbox with Flexie CRM. To allow this in Gmail you will have to turn on access for less secure apps. This is just a term used by Gmail, and when turned on it will allow you to connect to your IMAP. This does not mean Flexie CRM is not secure because the connection between the two’s is encrypted via SSL (Secure Sockets Layer) that is a standard security technology. SSL establishes an encrypted link between a server and a client— like for example mail server and a mail client. A shared mailbox is a normal mailbox that multiple users can access to read and send email messages. To access a shared mailbox, a user must first be granted access to it. Once that’s been provided, users can access the shared mailbox. Companies that provide centralized services they can give support 24/24 hours a day. This way we allow multiple users to monitor and reply to email sent to a single email address. To share your mailbox in Flexie CRM go to Email Account and click Shares. A popup will follow with details you will need to answer. You select Users you want to where you want to share your account with, Groups, and Permission level. This is feature is great especially for companies that usually will want to share their work load in order to respond to their customers or clients based on the scenario. Every member of the shared mailbox can respond to an email that is sent to the shared mailbox.